Tonight at 12.05am, Ewen Spencer and Somesuch & Co's documentary Brandy & Coke premieres on Channel 4. To mark the occasion, we’re celebrating all things UK Garage – including the music era’s distinctive label-obsessed style. In the gallery above, stars of the doc – including Heartless Crew, Scott Garcia and Noodles – share personal photos and style memories from that time, alongside photos from the punters who worshipped them from the club floor. 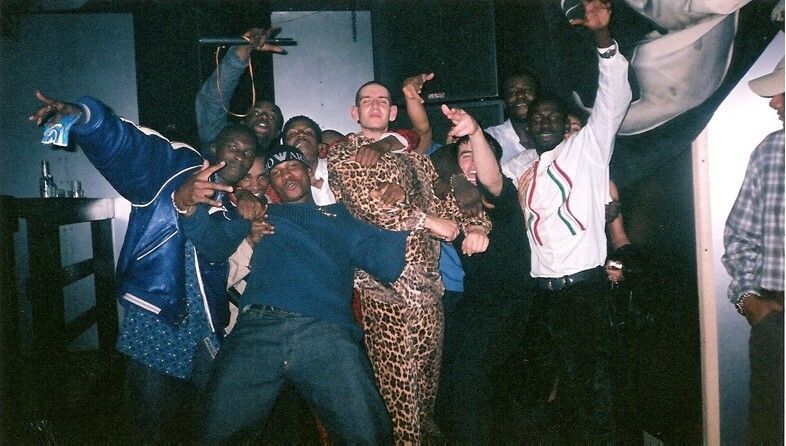 Dazed Digital: When did you first get into UK Garage? Rhiannon Barry: I first got into garage when I was in year six at primary school, so aged 11-12, about fourteen years ago. I was pretty young; my aunty used to babysit me after school. I had two older cousins who were 17-20; they were well into UKG, so I got into it from young from them. 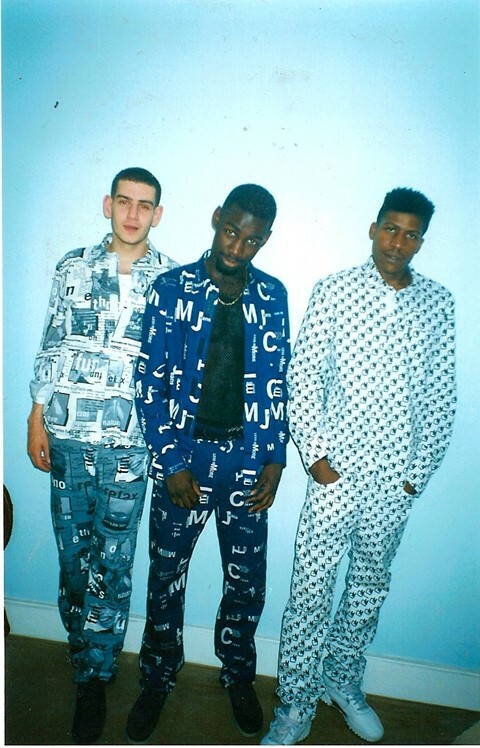 DD: How important do you think fashion was to the UKG scene? Rhiannon Barry: So important. It was all about image. I used to go to under-16 clubs and beg my friend’s older sisters to borrow their Moschino jeans and Patrick Cox loafers. I’d seen them going to raves and felt like that was a uniform, even at age 12. DD: What was your favourite look? Rhiannon Barry: A pair of off-key Moschino jeans and Gucci loafers. It still is now, classic. DD: When did you start keeping your clothes as a collection? Rhiannon Barry: When I was 18, when I started sourcing and buying rare pieces from the late 80s and early 90s. I still have loads of Moschino and Versace from when I was 13-years-old that luckily still fit me. Back then it was designer everything, so I never really classed my wardrobe as a collection. DD: Can you tell me a bit about Ninety Fly? Rhiannon Barry: Since I started collecting properly I have been addicted to buying online and sourcing. Some I would just buy for the sake of it, even if it wasn’t for me. As my addiction started getting out of hand, I sold a few pieces in the shop ZONE7STYLE on Redchurch Street, London, that sold rare vintage designer clothing. This time last year I noticed the style come back into fashion and people were asking me where I got it all. I wasn’t going to give away my secret, so I posted a few things on Instagram. Now I have a website launching soon, and stylists can view my personal collection online to hire it out. In the gallery, we feature images and stories from Manandhar’s upcoming book ‘What We Wore’, a ‘People’s Style History’ of British Youth Style, to be published by Prestel in October 2014. To submit your own photos to What We Wore, email submit@what-we-wore.com, or bring your photos to the Live Archive at Tate Britain this Friday 4th April.